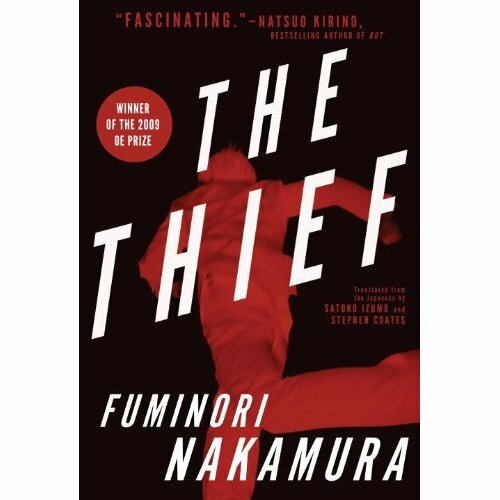 The Thief (by Fuminori Nakamura, translated by Satoko Izumo and Stephen Coates and published by ShHo Crime) is a stripped-down philosophical crime novel, with prose that is sometimes reminiscent of Kobo Abe (more so than the book reminds me of recently translated Japanese crime fiction) or French fiction from Camus to the Nouveau Roman. There are several plotlines in the short book: the narrator-hero is a skillful pickpocket who's showing some signs of a breakdown (he's finding things in his pockets that he doesn't remember stealing); he approaches a mother and son who are shoplifting in a grocery to tell them that a store detective has spotted them, and becomes involved in their lives tangentially; and a crime boss approaches him with an offer he can't refuse, to participate in a series of thefts. Along the way, the thief remembers key events in his life, all the while with a powerful metaphor hanging over his life (an oppressive tower). The first of these memories is of a master pickpocket who had trained him gets him involved in a caper that will put him in the power of the crime boss who will approach him again later. The second involves a love affair with a married woman whose memory haunts the thief. As events careen out of the narrator's control, the tone of the novel remains calm, even distant. The reader learns a lot about the art of picking pockets, both in the narrator's interior monologue and in his advice to the young boy/shoplifter, to whom he becomes a sort of mentor (and whose mother also insinuates herself into his life). It's clear that the crime boss is luring him into something beyond his control, just as he is at a crisis point between of overcoming the sense threat represented by the tower and experiencing a sense of loss of control or memory in his activity as a pickpocket. All the threads (in plot and metaphor) come together in a tantalizing climax that hangs on (literally) a coin toss (not in exactly the way that sounds). If the story sounds heavy, it's not. Its strangeness is in fact the everyday, matter-of-fact quality of the prose, in contrast to what would seem to be extremely stress-enducing events. 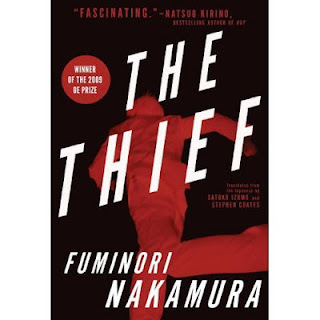 The bleak plot line, emotional distance, and plain style are aspects that The Thief has very much in common with the classic noir, along with the cold and imposing urban setting. Some hard-boiled aspects of the book will probably seem strange, even comic, to readers like myself who aren't familiar with Japanese daily life (the narrator keeps buying cans of hot coffee from vending machines, for example). The drily philosophical tone and the noir atmosphere combine perfectly, providing a rapid and enjoyable "read" that is nonetheless cool and distant, provoking the reader to think about (as much as experience) the tale. Read this and just blogged about this recently myself. 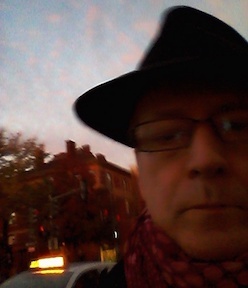 It is a little hard to get across why it is so absorbing.